Assembly Round Up: What is the Council of the EU? What is the Council of the EU? 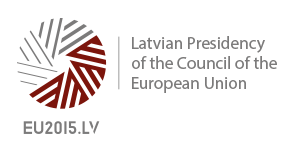 The Assembly will be hosting the Latvian Ambassador to the EU His Excellency Andris Teikmanis on Monday 23 February 2015 as part of a programme of visits to Northern Ireland to mark Latvia’s Presidency of the Council of the EU. Latvia holds the Presidency from January to June 2015. The Council of the EU is essentially governments defending their own national interests. National ministers meet to adopt laws and coordinate policies. The Council shares the final say on new EU legislation with the Parliament. The Council signs international agreements, e.g. on trade, on the behalf of the EU. The Council is also the main forum for national governments cooperating on the Common Foreign and Security Policy. There is no fixed membership – for each Council meeting, the member state will send the Minister for the particular policy area being discussed. Decisions in the Council of the EU are taken by qualified majority as a general rule. The bigger a country’s population, the more votes it has. Every member state has a permanent representation of civil servants in Brussels led by their Ambassador to the EU. The Permanent Representative Committee (COREPER) prepares the work of the Council, with the exception of agriculture (which is the role of the Special Committee on Agriculture) in advance of its meetings. COREPER I is composed of the heads of each EU member state’s permanent team in Brussels and COREPER II of the deputy heads. A large proportion of the work of the Council is done through the working groups. 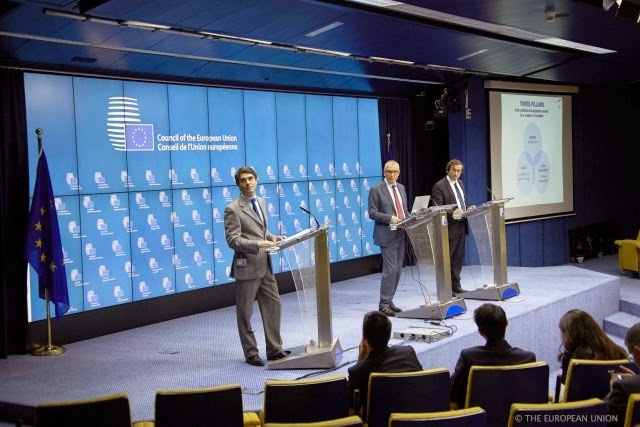 What does holding the Presidency of the Council of the EU involve? At the Council meetings, the Presidency of the Council takes charge of the agenda, promotes legislative decisions and encourages compromise between members. To do this, the Presidency must act as an ‘honest and neutral broker’. 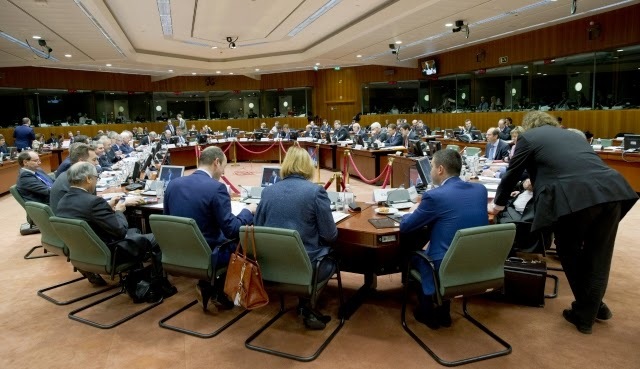 The Presidency rotates among the EU member states every six months. During this six month period, the Presidency chairs meetings at every level in the Council. Member states holding the Presidency work closely together in groups of three. The trios set long term goals and prepare a common agenda to determine the topics and major issues that will be addressed by the Council over the 18 month period. Each of the three countries will then prepare its own more detailed six month programme which will highlight each presidency’s goals to achieve during the six month period. The current trio is Italy, Latvia and Luxembourg. The UK next holds the Presidency July to December 2017. Ireland held the Presidency January to June 2013. What are Latvia’s priorities for the Presidency? establishing an Energy Union - energy policy built on solidarity, trust and security, focus on infrastructure, better governance, energy security and energy diplomacy. becoming digital by default – advance the digitalisation of Europe, discuss digital skills, promote e-Government. remain committed to an EU enlargement policy.